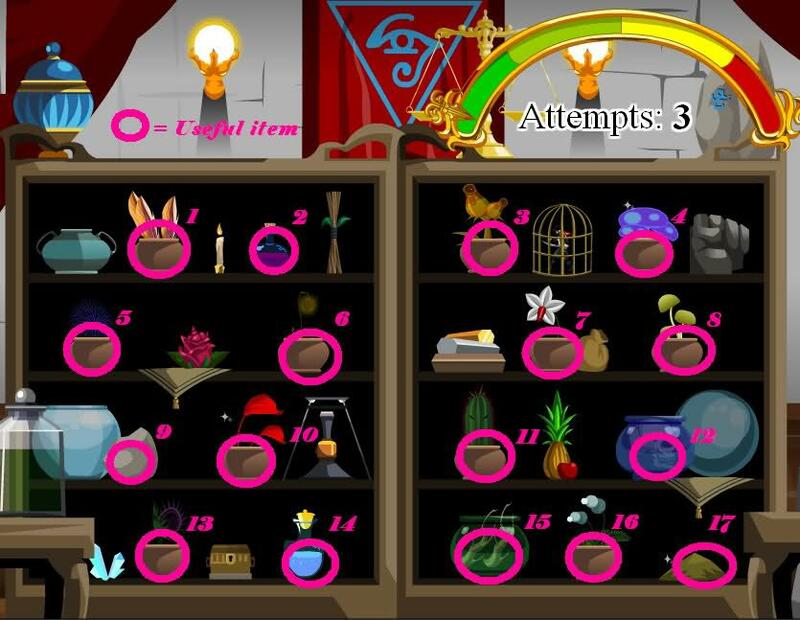 Level/Quest/Items required: Completion of It's Elementary! Objective: Help Nythera make potions for Warlic. Objective completed: You've managed to make a bottle of.... green, smoking stuff that Nythera seems happy with. Nythera: I need your help again, <Character>. I need some potions mixed up, but I have other things to do. Nythera: *sigh* Look, I've got lots of work to do. You work on these potions. I've enchanted the reagents so even you should be able to handle it. Nythera: They'll glow in the order you need to mix them. Just watch and then use them in the same order. If you get the pointer in the red, you're done. Nythera: You only get so many attempts per batch. If you run out of chances, the potions will be ruined and you'll have to start over. Nythera: With every correct mix you get one more attempt on the next batch, but if you mess up you lose attempts. Nythera: *sigh* Try not to mess up. Otherwise, I'm just going to have to stand out front asking people to help me get herbs forever. 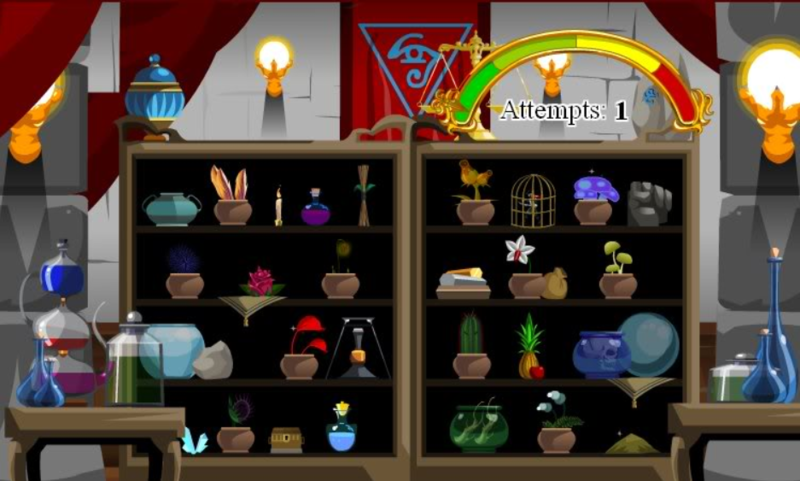 In this minigame, you will be presented with this shelf, same as the one shown in the background. The game is identical to Simon Says, just on a larger and more complicated scale. As stated previously, click the plants in the same order as they lit up in. If you mess up, the order of the plants and plants that lit up before will not change. A timer will count down from 3 and the game will begin. There is a total of 6 4 rounds. All the rewards given are junk items. -- 1337 Ch0C01473 for rewards. -- Saint Kilda for rewards. -- Andy8 for reagent image and info.